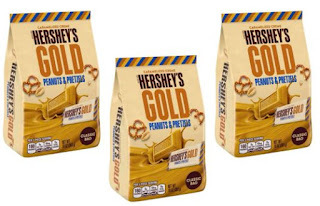 Go here to print>> $1.50/1 Hershey's Gold Candy Bags Coupon! 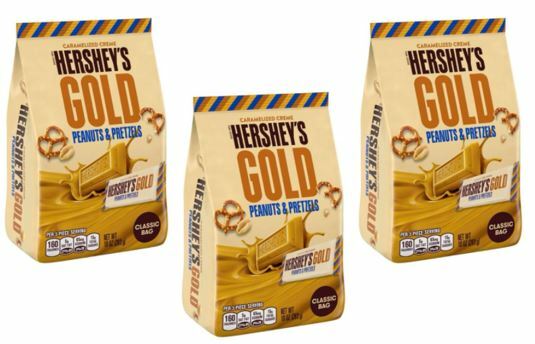 USE (2) $1.50/1 Hershey's Gold Candy bags Coupon! USE (1) $1.00/2 Hershey's Classic or Mini Candy Bags Walgreens eCoupon! FREE BUBS Naturals Collagen Sticks Sample Pack! FREE Yoplait Mix-Ins Yogurt at Stop & Shop! FREE Yes I Am Cacharel Women’s Fragrance Sample! FREE Snickers Candy Bar Product Coupon! FREE L'Oreal Pure-Clay Yuzu Mask Sample Pack! Sprint Spirit #Sweepstakes & Instant Win Game! BOGO FREE Auntie Anne's Soft Pretzels Coupon! FREE Rituals Cosmetics Foaming Shower Gel Sample! FREE Calvin Klein Women Eau de Parfum Sample! $10 off ANY $25 Purchase Coupon at Kohl's! FREE One Year Subscription to Essence Magazine!